Here comes the Bucharest series of posts. We arrived at noon the first day, checked in and went out to go sightseeing. The weather was extremely cold. After an hour walking, we sat at "The Barrel" to warm up and have some food. We ordered traditional Romanian beer - "Ciuc". I had a chicken fillet with rice and mushrooms and it was perfect! In general, I have to say that I really liked the Romanian cuisine. It's very similar to Bulgarian. Despite looking freezing cold, it actually is very beautiful. You've captured great shots of the architecture! Wow beautiful photos and post!!! Happy New Year!!! Snow. Lots of snow. Nice buildings and decoration, and most importantly - the people in the photos. It's great that you tried to catch the atmosphere of the city. Kisses. Прекрасни снимки на красиви хора! За вас може да е било изпитание да се розхождате по студа, но за мен гледката и снимките са адски красиви, обичам кадрите със сняг. А и сигурна съм, че след студа е било прекрасно да се стопляте в кафенетата и по баровете с алкохолче :) Пък Букурещ е бил много красив отколкото си го представях. Сега съжалявам, че съм отказала малките екскурзии до там по време на стдудентския си живот в гр. Русе..
Еее, трябвало е да отидеш поне веднъж. Досега не съм ходила, точно защото е малко по-далеч от София, но от Русе е на една ръка разстояние. Благодаря ти много, Сезен! Great to revisit Bucharest through your lens! Some spots look vaguely familiar; also interesting to know now what it looks like in winter. I can imagine that it must have been sooo cold! Looking forward to more photos of this trip. 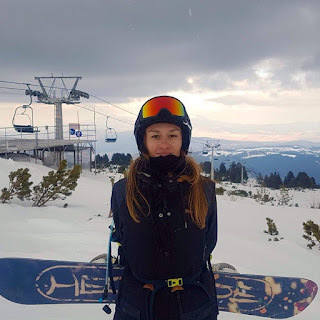 How lovely that you got to spend some time in Bucharest over the holidays Stanislava! The snow covered streets and buildings look chilly but very pretty in your photos and you look so cute and happy in your poses. I'm glad you had fun even if it was a little tiring. I think I would hate that smoking is allowed at so many places as the smell always gets to me. Have a wonderful week my dear! i love seeing white wintry photos since we don't see that here where i live! beautiful! awesome photos, it looks amazing! Look at the snow! WOW! The architecture of the buildings there are absolutely gorgeous! Love your coat Stanislava! Thank you for sharing these. I really enjoyed looking at each one. Absolutely spectacular.